Should you change your conveyancer? Are your conveyancing solicitors too slow? We’re confident the information on TheAdvisory will help you find an efficient and reasonably-priced conveyancing solicitor, one you won’t have any problems with. 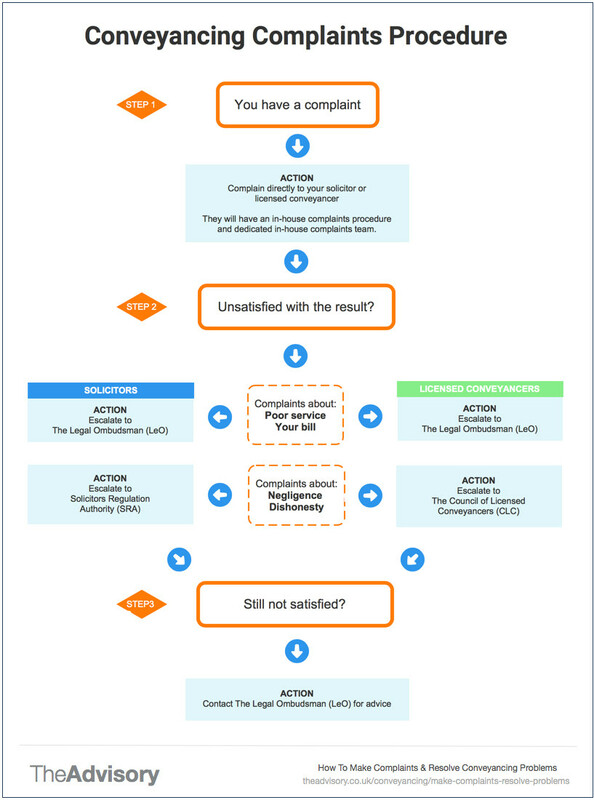 However, if you do find yourself with grounds for a complaint (against a solicitor or licensed conveyancer), this guide shows you exactly what to do to get it resolved. There’s also a lot of advice below on how to avoid and/or troubleshoot the common conveyancing-related problems that people encounter when buying or selling a home. If you run into problems with your conveyancer, you might feel slightly nervous and hesitant about making a complaint. After all, they are bound to know the law better than you and have access to expert support, essentially free of charge. But the good news is that, as a consumer, you have rights and all solicitors & licensed conveyancers have to abide by a set of standards or codes of practice. Always make your initial complaint to the company itself, whether a solicitor or licensed conveyancer. Each firm will have its own internal complaints procedure and there will be someone (normally a partner of the firm) who is in charge of handling complaints (a ‘complaints manager’). You should be given their contact details without question. The firm itself may be able to resolve your issue, meaning you have no need to take it any further. Always go ‘on the record’ and set out your complaint in writing. Conveyancing firms should aim to acknowledge receipt of your complaint within 2-7 days setting out timescales for resolving it. They should then respond formally within eight weeks. Make sure you know whether you have used a solicitor or a licensed conveyancer because it can make a difference to the steps you need to take next and who you direct your complaint to. You also need to be clear on whether your complaint is about poor customer service or your bill, or if it’s more to do with dishonesty and not abiding by codes of conduct or legal principles. Information about the problem, what they did wrong and the timing of the error. If you can, it’s worth calculating the loss you might have incurred as a result of the errors the person/company made. If you feel you’ve received poor customer service and you’re not satisfied with the way your conveyancing provider has dealt with it via their in-house complaints procedure, The Legal Ombudsman is here to help you. They will also deal with any complaints you have about your bill – whether that’s the amount you’ve been charged or that fact that costs weren’t clearly explained to you. Who are The Legal Ombudsman (LeO)? The Legal Ombudsman operates in England and Wales and is independent from the legal profession and government. The service is paid for by legal and claims management companies, which means it’s provided to you, the consumer, free of charge. It’s important to be aware that the job of any Ombudsman is to deal with a complaint ‘in a fair and independent way’. They do not ‘take sides’, so you can rest assured that if you do put a complaint forward, they will use their knowledge and expertise to consider the matter and, if they agree that you have been poorly treated, do something about it. The Ombudsman will independently assess whether they feel the standards that should have been achieved fell below what would be expected, then assess what negative impact this may have had on you. What the Ombudsman can’t do is provide you with legal advice, represent you in any legal proceedings or help if your complaint is outside the time limits. The Ombudsman will even consider cases relating to individuals or companies that didn’t respond to or process the original complaint you made. In some cases, they will take on issues relating to breaching confidentiality agreements or being involved in criminal activity. If you’re considering making a complaint, you need to know that there are time limits and you can’t complain ad infinitum. The problem occurred after 5th October 2010. The problem is referred to the Legal Ombudsman within either six years after it occurred OR three years from when you found out about it. You go through the legal firm’s own in-house complaints procedure first and then refer the complaint to the Ombudsman within six months of their final response. When you make a complaint, an investigator will be appointed to listen to both sides of the story, i.e. the legal firm’s and yours. Based on their experience and knowledge of the standards that should be adhered to, they can take an independent view on what’s happened and come to an informed and impartial decision. Resolve your complaint within three months. Advise why they support or don’t support your complaint. Explain what should be done to rectify the problem. Regardless of whether the legal firm agrees with the Ombudsman’s conclusion, it is binding. What compensation can they make? In many cases, people simply want an apology from their legal firm, which the Legal Ombudsman can insist on. Return any documents you may require. Refund or reduce the price you paid for legal help. If required, they are also able to pay up to £50,000 in compensation, although most compensation awards are under £250, so don’t get too excited! Contact the Solicitors Regulation Authority (SRA). This is the second body that sets out the rules and regulations for legal firms in England and Wales. Their job to look after you, making sure the standards set are adhered to and issues are addressed and – most importantly – learnt from, so future problems can be anticipated and steps taken to try to ensure the same problem isn’t repeated. Whether the solicitor you used is a one-man band or a large firm, they should belong to the SRA, which means following a set of professional principles and abiding by a code of conduct. Ensure any monies and papers from your case work are returned to you. Be aware that the SRA only looks after issues where a solicitor has been dishonest or breached standards or rules. Complaints regarding customer service should be directed to the Legal Ombudsman, only if the legal firm itself has not responded to your satisfaction. What happens if your complaint is upheld? This allows them to prosecute solicitors and, in serious cases, close firms down. They also run a compensation fund, which means if you’ve lost money as a result of ‘a solicitor’s dishonesty or failure to account for money they have received’, you have an opportunity to get your money back. To make a complaint about the SRA themselves, visit: SRA Complaints Page. In the first instance, you should contact The Legal Ombudsman (LeO). The LeO will then pass your complaint onto The Council of Licensed Conveyancers (CLC). The CLC are responsible for the regulation of specialist conveyancing and probate lawyers. That means they deal with setting the standards for licensed conveyancers and then enforcing them. For example, they determine what education and ongoing training is required to ensure conveyancers keep up with the latest laws; they check that conveyancers have the right level of professional indemnity, and they investigate allegations of misconduct and discipline firms or individuals if necessary. Follow the in-house complaints procedure of the firm you used, ensuring everything is put in writing and you have evidence that letters were delivered and/or emails were read. All firms should have already provided you with details of their process but, if not, make sure you ask for them. If you’re not satisfied with their response, ask the firm for a ‘deadlock’ letter, which confirms that the complaint remains unresolved. If your complaint is about poor service or the costs you’ve been charged, contact the Legal Ombudsman’s service. If it’s regarding dishonesty or a breach of the rules – and also if the firm in question is not adhering to their own complaints procedure, for example, by not answering your complaint – you should escalate the matter to the SRA (for solicitors) or CLC (for licensed conveyancers). If you’re in any in doubt about how to proceed, contact The Legal Ombudsman and they’ll be able to advise you of the right organisation to raise your complaint with. If you are still unsatisfied with the outcome of the investigation of your complaint, you may be tempted to sue the firm in question. It is, of course, possible to engage another legal firm to make a claim on your behalf for negligence or malpractice, however, that can be a long and expensive process unless they will take it on a ‘no win, no fee’ basis. In this section of the guide we take you though all the common conveyancing problems you may encounter, explain why they happen and provide troubleshooting tips. According to the Legal Ombudsman, with more than one in four complaints (23%) they receive being about residential conveyancing, it’s the most complained about area of law. Some of the most common complaints are around failure to advise clients properly, failure to follow instructions, delays and poor cost information. However, the positive news is that almost half (46%) of all residential conveyancing complaints are resolved informally, which is an above average number. Bills being higher than expected, where the client has not been informed about the increases. Firms stating they offer a ‘fixed fee’, then charging unexpected extra fees on top. Offering a ‘no move, no fee’ deal and then still presenting a bill to the client. Delays in the legal process causing the client to lose the sale or purchase of a property. Not providing adequate advice on issues that then cause the client problems, e.g. leasehold issues. Charges remaining on the property from the previous owner. All these represent valid grounds for complaint against your legal representative. However, sometimes people believe the solicitor or licensed conveyancer to be at fault when they aren’t. For example, if only a basic search is carried out for a purchase, it won’t necessarily pick up every bit of planning that might affect the property. The legal firm can point this out, but if it isn’t wholly understood by the client and they then find out about something like a new estate being built nearby, although they might feel the legal firm was at fault, they may not be. Another common misunderstanding is when a buyer thinks a certain piece of land belongs to them, then it turns out not to, because it’s either unregistered or belongs to someone else. So if you, as the client, have signed off the boundaries on the paperwork and not realised that what’s on the paper is not the same as what you believe you’ve seen on the ground, that’s really your issue and not necessarily the fault of your legal representative. Make sure you’ve considered all the elements of your complaint before you raise it and are sure that it’s the fault of your legal representative, rather than an oversight on your part. While the majority of complaints can be settled to a client’s satisfaction without any significant financial loss, some problems are more dramatic and can involve large sums of money. Unfortunately, because conveyancing transactions involve thousands, if not millions of pounds, criminals work hard to prey on unsuspecting buyers and sellers. Criminals also organise for people to get jobs in the legal profession and bribe those already in it to carry out fraudulent transactions, and it’s very difficult for anyone to uncover this kind of activity. According to the Solicitors Regulation Authority (SRA), the detected number of ‘bogus conveyancer’ scams has risen from 350 in 2012 to more than 700 in 2016. One of the biggest problems buyers, sellers and legal firms currently have is emails containing bank account details for transferring purchase monies being intercepted by criminals. Email hackers go into a buyers/sellers or a legal company’s account and send a fraudster’s bank details instead. There have been cases where people have unknowingly transferred their deposit – and sometime the full purchase money – to criminals posing as their legal conveyancer. This means the funds never arrive at their intended destination. In such a case, there is no way of getting the money back, but it’s not the legal company’s fault, so both the money and the property are usually lost. I can’t stress this enough – NEVER accept (or send) bank account details by email. To ensure this doesn’t happen to you, make sure you always confirm bank account details over the phone, via post (not a PO Box number) or in person with your solicitor or licensed conveyancer. For more information about how to protect yourself from email scams visit: http://www.pcadvisor.co.uk/how-to/security/how-avoid-solicitor-conveyancing-email-scam-that-costs-house-buyers-3653388/. This is where a criminal steals the identity of a property owner (usually a landlord), sells it to a cash buyer and disappears with the money, leaving a huge headache for the owner and a big financial hole in the pocket of the cash buyer. Criminals are targeting ever more expensive properties each year. Figures from the Land Registry’s counter-fraud unit show that between 2013 and 2017 the number of cases rose from 33 to 50, but the value of the fraud more than tripled, from £7.2m to £24.9m. Criminals pose as tenants and rent a property (using fake identities). One person changes their name by deed poll to match the owner’s name, and secures other ID usually from post addressed to the owner that arrives at the property. The criminals put the property on the market, posing as the owner, and sell it to a cash buyer. The scam is only uncovered when the new owner goes to register the change of ownership with the Land Registry and the true owner is alerted. Although it’s a big legal headache, the true owner should get the property back. The cash buyer could end up being the real loser, as they may not see their money – or the house they thought they’d bought – again unless they are able to take action against one of the legal companies. To protect yourself as a landlord or property owner, it is worth signing up to a free service provided by the Land Registry (England and Wales), which alerts you via email to certain changes that are made relating to your property, essentially giving you a ‘heads up’ of potential fraudulent activity. Any fraudulent or criminal activity needs to be reported to the regulators as soon as possible. If you become aware of something you think might be illegal, speak to the Legal Ombudsman and then take their advice on who to contact and how to progress the complaint. If you have already instructed a legal firm and are having problems, it’s important to understand whether they are incompetent or if the actual problem is that your expectations are too high. Essentially, they have to work ‘backwards’, from Friday, when most property exchanges and completions take place. Legal firms can be sued if they don’t achieve a completion date that they’ve committed to, especially if the delay is because of their own error. As a result, they tend to start the week by working on the cases that need to complete by the Friday. Once they have carried out that work, they may then move on to carry out exchanges that are ready to go, as well as ‘fire fight’ any issues that have arisen with other cases they’re progressing. As such, if your new instruction comes in on a Monday, they may not have the capacity to do anything with it for a full week or more. Are they quick off the mark? That being said, good legal companies will have a process in place that ensures new instructions can start to be processed in the first week. Asking for proof of identity. Requesting information about the property you’re buying/selling. Securing monies to pay for incidentals, such as searches. If you have instructed a legal firm that hasn’t come back to you within the first week following your instruction, it’s a strong indication they’re not going to have the capacity to deal with your case and it might be worth switching at this very early stage. Do they speak in plain English? Another indication that a legal company is poor is if they only ever communicate with you in ‘legal speak’ so it’s virtually impossible as a lay person to understand what they’re saying. To add insult to injury, when you try to get clarification, this type of firm often doesn’t bother to return your calls or emails. Be open, honest and transparent about their fees, with no surprise charges. Return any communication you make within 24-48 hours. Provide you with the paperwork you need to complete as soon as you instruct them. Explain the process and legals in plain English. Provide you with advance notice of what you need to do and when. In short, communication is key, so if you get the feeling early on that your legal representative is slow to respond to you, constantly needs chasing up and is not explaining things in a way you understand, don’t hesitate to look for another firm. If you’ve lost faith in your conveyancer for whatever reason, doubtless this thought is going to cross your mind. But before you take any action, there are a few things to consider. If you’ve signed the legal firm’s terms and conditions, check what it says about disinstructing them. Then ask the new firm you’ve chosen to also check if there is any reason you couldn’t switch and whether there are any cost implications. A good legal company will help you switch your instruction to them. For example, it’s important to be aware that if you require a mortgage for your purchase, the conveyancer acts for both you and your lender. So if you’ve already instructed a legal company that is not on the ‘panel’ approved by your lender, you may have to switch in order to progress the purchase/sale. Other reasons why you might have to switch include a conflict of interest arising that means they cannot legally act on your behalf, or the company simply closing down. But assuming the choice is yours, look at the nature of the problem before making any knee-jerk decisions. If you’re having problems with your conveyancer very early on, it might be worth asking to switch to a different person within the same firm, rather than taking your business elsewhere. It might simply be that your legal representative is under a lot of personal stress that the firm isn’t aware of, and someone else is easily able to do the job more efficiently. Alternatively, if you get the feeling the problems are company-wide – for example, you ring to speak to a senior partner about the problems you’re having, but they don’t return your call – then it’s probably worth switching to a different firm altogether. You may get charged twice for the same work. If paperwork has already been sent by the seller’s/buyer’s legal firm then it may take time to redirect that paperwork, or your new legal representative may have to start from scratch, which will add extra time to your transaction. In addition, if you have already received your mortgage offer, your lender may need to issue a replacement offer via your new legal representative. Although that shouldn’t take very long, it may cause further delays. But one of the biggest potential delays is if the title deeds to the property are held by your original legal firm (only typical if the property has been owned for a long time) and they need to be sent back to your mortgage company before they can be sent on to the new conveyancer. You may find that the new company is no better than the last one. Potentially (and hopefully) your new legal firm will do a much better job. If they are good, they should take the hassle of switching companies away from you, securing any paperwork required from the previous legal company and getting in contact with agents, surveyors and search companies quickly to save you as much time as possible and progress the transaction efficiently. Ideally the early you switch the better, preferably before you’ve signed any Terms and Conditions or paid any money. You can switch any time up until exchange, but it is rarely worth switching between exchange and completion, as most of the work will be done by then. If a conveyancer is not meeting standard timeframes, such as contacting you within 48 hours of receiving your instruction (on or offline), switching legal companies is seriously worth considering. Any delays during the legal process typically increase the likelihood of your transaction falling through, so staying with an incompetent conveyancer could cost you dearly. Even if you have already made an initial payment to cover disbursements such as searches, as long as they haven’t yet been ordered and you put your complaint in writing, requesting a refund, it might be possible to move to another legal company without losing any money at all. Sometimes the behaviour between solicitors/conveyancers beggar’s belief and if both are equally stubborn, it can have a very negative impact on everyone else involved in the process. Why does it sometimes turn ugly? Typically the legal system is set up to ‘defend’ or ‘accuse’ people of something. Because of the nature of the law, solicitors can be quite aggressive and defensive in their communication. However, good legal companies will tend to work closely together, especially when a problem arises. They will both do their best to find a speedy and cost-effective solution that works for both parties. It tends to turns ‘ugly’ if each blames each other for not sending the right information or responding quickly enough. A good question to ask before you choose a legal company is, “How do you deal with conflict during a property transaction?”. If they say they will ‘fight’ for you as opposed to ‘help find a solution’ then they might not be the right company to use, as being aggressive and argumentative is rarely helpful during the property transfer process. Always talk to your conveyancer about how to find a ‘smooth way’ through problems. Ask what can be done to solve issues quickly with the least amount of confrontation. Often paying a small sum to take out indemnity insurance to cover either you (or your buyer) against certain things being a problem in the future can save a deal from imploding unnecessarily. If there is an opportunity for an estate agent to blame a solicitor, you can be sure they’ll take it and, unfortunately, it can be much the same the other way too. Most legal companies have a good relationship with their estate agent colleagues. On many occasions, the agent themselves will recommend a legal company to you, as they can earn monies from offering legal services and/or they trust the legal company to get on with the job effectively. However, if their relationship breaks down between the sale being agreed and completion, it can have an adverse impact on the work that needs to be carried out – and on the success of the transaction. In the main, problems arise if the agent isn’t providing the information that the legal company needs or vice versa, or if the conveyancer feels that the agent is ‘bothering’ them too often. Some agents and legal companies are excellent at communicating and have systems in place to alert them early of any potential problems that may occur or approaching deadlines that need to be achieved. Other agents and legal companies don’t seem to care or simply don’t have the capacity to monitor a property transaction. That can mean they’re slow to action any paperwork, making it difficult for the other party to progress the sale/purchase. It’s vital that you choose your estate agent based on their knowledge, experience and, in particular, how they progress a sale. Do they outsource this process or operate an in–house sales progression team? Both have their merits. Ask them to detail their fall-through rate after an offer has been accepted. Finally, never pay upfront for estate agency services – alway choose a ‘no sale, no fee’ estate agent that is motivated to see your transaction through to the end. In order to be able to judge whether your conveyancer is taking too long, you need to know how long the process should take. However, do bear in mind that your legal company can only progress your side of the property transaction as quickly as the other side’s legal person is working. Whether you’re buying or selling, you can help your conveyancer progress the transaction by ensuring you carry out the tasks you need to complete, and return paperwork as quickly as possible. Why are conveyancing solicitors so slow? In any job, there are people who are very efficient and those who are less so, and conveyancers are no different. But because buying and selling houses is an emotional event for most homeowners, any delay or perceived delay tends to be much more dramatic and noticeable than in many other areas of business and life. Not all conveyancing solicitors are slow and it’s important to understand that certain aspects of the work they need to complete depend on other people. So, what does a conveyancing solicitor have to do? Acting for a buyer generally takes a conveyancer more time than acting for the seller, as they have the responsibility of checking every aspect of their client’s purchase for both their client and the mortgage lender. Much of a conveyancer’s work is reading and checking documentation. How long it takes them depends on how experienced and thorough they are and whether anything out of the ordinary needs investigation. For example, if a property has a long and complicated lease, that will take some time to go through; similarly, if the transaction involves additional legal agreements, such as trusts and insurance policies, those will take extra time to process. Online systems, which speed up the transfer of documentation, especially if you can view the progress of the whole chain online. Effective support for the person who has to carry out specific legal duties, so their time can be maximised. Ensuring the firm has the capacity to deal with new instructions quickly as well as exchange and complete transactions on time. But if a conveyancer has little support, works slowly and methodically, communicates only by post and sticks rigidly to their working hours, the transaction can certainly take far longer than it should. What is out of your solicitor’s control? The other party’s solicitor – If they are slow to respond and have very little sense of urgency, having to constantly chase them can be a very painful process for you, your conveyancer and the estate agent who’s trying to progress the sale, and there’s often very little that can be done about it. Searches – A buyer’s conveyancer has to apply to the Local Authority to secure search information for things like planning, drainage and environmental issues. Some Local Authorities respond quickly, others take much longer and it also depends how busy they are at the time you’re buying. Mortgage lenders – Again, some are good and will deal with mortgage applications quickly – it is particularly helpful if your mortgage broker has a good relationship with the lender and their underwriting department. However, other lenders simply have an ‘it’s on the pile’ attitude, which means a mortgage offer can take several weeks, if not months to move to offer. You also need to be mindful that, depending on your circumstances and the property you’re buying, there may be conditions attached to the offer, meaning there’s more work for your solicitor to do once they finally have it, before the purchase can proceed. You, the client! – The speed at which you and the other people involved in the chain complete paperwork, respond to queries and organise things like deposit funds is entirely out of a solicitor’s control. One of the most common issues is someone going away on holiday and not being able to deal with anything for one or two weeks, which is infuriating for everyone. Once contracts have been exchanged, the parties are legally committed to the purchase/sale, so the conveyancing solicitors must make sure that absolutely everything is correct and in place before that happens. And remember, they’re also acting for any mortgage lenders involved, so regardless of whether you want them to just move ahead with something and are happy to ‘take the risk’, they can’t do that if you’re buying with a mortgage. If all parties are very efficient, it’s perfectly possible to get to exchange within 4 weeks, however, that is unusual, simply because of the number of people that are involved in processing all the paperwork (conveyancers, buyer, seller, mortgage broker, lender, Local Authority, insurance companies, etc.). And that’s the main reason behind the length of time it takes to get to exchange: there are a lot of different parties being asked for all sorts of information and to make various decisions, some of which are simply cannot be done quickly. Then the exchange process itself is very specific and is usually done via telephone. On the day of exchange, the solicitor at the bottom of the chain has to contact the next solicitor up and confirm to them that they’re in receipt of a signed contract of sale and transfer of title document, as well as deposit funds, and confirming the terms of the sale and completion date. They will give the next solicitor up the chain a ‘release’ time to come back to them to confirm the exchange, usually 4pm or 5pm that same day. The next solicitor has to contact their client’s seller’s solicitor in the same way, until the solicitor at the top of the chain has been reached. The exchange then needs to be confirmed back ‘down’ the chain, to reach the first solicitor within the release timeframe. This is often down to the legal company realising that they haven’t all the information they need and then struggling to get hold of it in time. It may also be because a seller or buyer in the chain has failed to lodge their deposit with their legal company in time. In other cases it may be down to a solicitor being unavailable to take or make the required phone calls, either because they’re out of the office or in a meeting. Regardless of the reason, it does suggest the solicitor is not acting in the best interest of their client and is very frustrating for all parties. What to do if it’s the solicitor on the other side? If your solicitor is telling you that the delays are being caused by another solicitor, what can you do? Can I contact my buyer’s or seller’s solicitor? No. You are not permitted to have any direct contact with them, as it could be construed as causing a conflict of interest. If a conveyancer is slow to respond and has very little sense of urgency, having to constantly chase them can be a very painful process for everyone. Unfortunately, slow solicitors tend to dig their heels in when they’re pushed – particularly when it’s an estate agent doing the pushing – so they need to be handled carefully. The best thing you can do is forge a good relationship with your buyer/seller and urge them to instruct their solicitor to meet certain deadlines. If that’s not happening, you might even suggest that they switch legal firms. The reality is that the longer a purchase/sale takes, the greater the chance that it will fall through, so it’s never a good idea to make idle or knee-jerk threats, such as reducing an offer price or pulling out. Try to be as solution-oriented as possible and look for ways to help the other party progress their end of things. Your solicitor may have experience of dealing with the other solicitor, so ask them for their advice as well. If a problem occurs during the conveyancing process, it should be dealt with there and then. You’re going to have enough to do once you’ve moved, so try to solve issues as they arise, rather than storing them up until the transaction is complete. Items that were listed as included in the sale not being left, or items not being removed. Problems with the lease that you weren’t aware of, for example monies owed for major works or unexpected increases in service charges or ground rents. Poor legal work that results in problems at the Land Registry, such as boundary issues or entries of loans that are either still owed or have been paid but not removed. Right of way surprises, such as finding out you have a shared driveway. Failure by the legal company or agent to carry out your instructions effectively. As long as the Surveyor is a member of the Royal Institution of Chartered Surveyors (RICS), again, the complaints procedure is quite straightforward. Although many people often think complaining is a waste of time and the company simply won’t do anything, it’s often quite the opposite, especially because surveyors pay for professional indemnity insurance. That means if your complaint has some validity, the insurer will pay out on the company’s/surveyor’s behalf. If you’ve had a Home Condition Survey from an RPSA surveyor then their regulator is SAVA. If you’re not satisfied with their response, escalate your complaint to their Ombudsman. Typically, a complaint against a surveyor needs to be regarding the fabric of the building, such as them having missed a problem with the roof or a structural issue. So if you discover a problem with gas appliances or drains once you’ve moved in and your surveyor advised you to get these checked, there will be little comeback on them. On the other hand, if there’s a leak in the roof that can be seen fairly easily through a loft hatch, that’s the kind of problem that could probably be queried successfully. Whatever your complaint, always put it in writing and include evidence of problems where possible, such as dated photographs or another surveyor’s report. Most people and businesses involved in the house buying and selling process are members of associations or trade bodies that have free complaints procedures available to you. You should always start by complaining in writing to the person or firm that you have the complaint against, then escalate it if necessary to the relevant Ombudsman or governing body. In the vast majority of cases, people’s issues are resolved at one of those two stages. However, if you feel someone has been negligent and you’ve suffered as a result, either personally or financially, you might consider taking further legal action against them. Check whether you have any legal insurance. This could be via a trade organisation you belong to or your own home insurance, and will save you the hassle, expense and stress of having to handle it yourself. If you don’t have the relevant insurance, look for a specialist negligence solicitor that can advise on your rights and whether you have a good case. Sometimes, companies will settle quickly to avoid the hassle of a long drawn out complaint or, worse still, a court case. If you decide to move forward with a legal case, make sure you can afford it – it may be a long process, not to mention expensive if you lose. 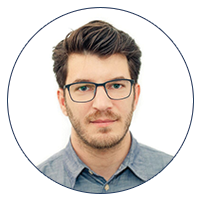 Bought a house with problems not disclosed? When you move into a property, there may be a few niggles or issues that come to light, which you didn’t know about, but in the majority of cases they’re not significant enough for you to make a complaint. However, there have been cases where non-disclosure by a seller has had a hugely negative impact on their buyer. Some problems mean the buyer might need or want to sell and move on again, but isn’t able to because either the property can’t be sold or has lost value. What are your rights – what does the law say? Thanks to new rules introduced in 2013, the law is now quite clear that if either the agent or the person selling the property knows anything that might impact on the property’s price or the quality of life of the person living in the property, it must be disclosed. The change happened in 2013 because the ‘Property Misdescriptions Act’, which used to cover what details needed to be disclosed, was replaced by the 2008 Consumer Protection Against Unfair Trading Regulations, shortened by the industry to ‘CPRs’. These new rules are broader, covering the information that needs to be provided not only when a sale is going through on a property, but also during the viewing process. What needs to be disclosed is anything that would generally affect a buyer’s decision to purchase. Good agents are already supporting this process by getting sellers to provide more information at the start of the sale, so that prospective buyers are well informed as early as possible. What kind of things should be disclosed? What can you do about problems arising from non-disclosed issues? Contact your own conveyancer to report the issue(s) and they will be able to advise you whether action can be taken. They should be able to direct you as to who to contact next and it may be that they will deal with it for you, certainly in the initial stages. If your conveyancer (or someone else in their firm) is not going to be acting on your behalf, make a complaint either directly to the seller or via their estate agent, setting out clearly in writing what was not disclosed and the impact on you. If you think the agent should have revealed something and you are not happy post your complaint directly to them, you can progress it to the Property Ombudsman, who will advise you of the next steps you can take. Negligence occurs when someone’s careless or reckless behaviour causes injury or loss to another person. It can be defined as ‘conduct which falls below the standard required to protect others against unreasonable risk of harm’ and ‘breach of a duty of care that results in damage’. The duty of care that falls on someone will vary, according to things like their own expertise in an area and the information/knowledge that they have access to. For example, if a seller tells you that they converted their garage into an extra room but fails to mention that they didn’t secure building regulations approval which later becomes a problem for you, that’s not necessarily negligent, because they may not have known they needed to. However, if your solicitor doesn’t pick that up and query it with the seller and insist that they pay for an indemnity policy to protect you against any future comeback for the lack of building regs, that is likely to be considered negligent as it’s something every conveyancer should know about. It’s important to understand that in order to make a claim for negligence, you must have suffered a loss which, had it not been for your solicitor, you would not have suffered. Even if your solicitor has breached their duty to you, if it hasn’t caused you any personal or financial loss, it’s not a case of negligence and your claim will fail. If your conveyancer has either not picked up or not properly advised you on any part of the transaction which later has a detrimental effect on you, personally and/or financially, you may have a good case for a negligence claim against them. As with any other complaint against your conveyancing solicitor, you should first complain to them or their firm directly, then escalate it to either their governing body &/or The Legal Ombudsman. However, if you have exhausted the complaints procedure and followed through with the independent complaints process, or it is a potentially big case, then you may well need to engage another legal firm to pursue a case of negligence, i.e. sue them. There are legal companies that specialise in suing their own profession and it’s worth looking for ones who offer ‘no win, no fee’, as that gives you an opportunity to put right a wrong that you couldn’t afford to do if you had to fund the legals. Try to choose one that has already won cases similar to yours in the past, as that should give you a greater chance of success. Any claim must be brought within 6 years of the date of the loss. If you didn’t become aware of the negligence until a later date, you must bring the claim within 3 years of finding out. If more than 15 years have passed since the negligent action, you are unlikely to be able to bring any claim at all against your solicitor. Before you engage a conveyancer, surveyor, estate agent etc., always find out what trade bodies, regulatory bodies or redress schemes they are members of. If you run into a problem with your conveyancer, don’t panic – most problems can be sorted quickly and easily, without the need to escalate the matter beyond the company in question itself. Make sure you keep careful records and always put every complaint in writing, including as much evidence as you can. The property industry is subject to ever-increasing levels of rigour and penalties for both companies and individuals who fail to abide by laws and codes of conduct. So if you do have a complaint, there is plenty of support out there to help ensure you resolve it to your satisfaction. 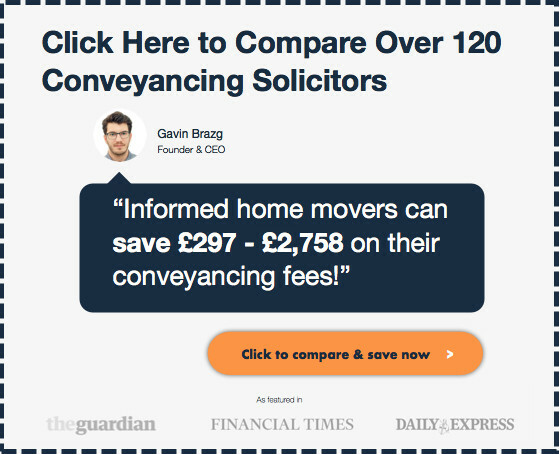 What are the conveyancing searches?